After inheriting a sprawling ranch, a young couple discover that the estate is home to a wild and beautiful Palomino stallion. What they don't know is that the horse belongs to a powerful deity who is angered by their attempts to claim the steed as their own. Chindi isn't actually a god in the Navajo religion. It's more like a "ghost". Predictable. Potential supernatural elements. A young couple inherit a ranch with a palimino horse that belongs to an Indian god. When the couple get greedy and try to claim the horse of their own, they run afoul of the god. A couple inherit an isolated and remote tract of land complete with a beautiful farmhouse, land, and a staff of Native Americans (continually misunderstood and maligned) who take their spirituality and religion very seriously. When they warn the couple again taking possession of a wile palomino horse they hold in respect because of its association with lightning, the couple balk and dismiss their beliefs as primitive and unfounded. That was a mistake. This show presented in honour of "Tornado Week", historically the most active week for tornadoes in the U.S. The great sound effects in this episode depict severe weather, of which I am all too familiar. Understood, my friend. We had a supercell go over us Saturday dropping a tornado on the south side of Bentonville...making it THREE SUPERCELLS/WALL CLOUDS within view of our Bentonville house this year. And I'm so sad that this most recent storm system brought so much tragedy to our states of Oklahoma and Missouri. Back to the RMT. This play could have been a flop for three reasons: 1. The voice of Mandel Kramer - rather than sounding like a "young, blond husband", I think of someone more like Morley Safer whenever I hear that very talented yet at-the-time aging actor's voice. 2. The voice of Ruby Dee - a beautiful, talented lady to be sure, but again, she has a clearly African-American voice that seemed a bit unusual for a western land heiress (though not impossible). 3. 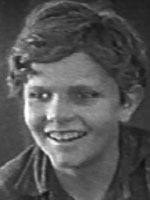 The voice of Guy Sorrel, dangerous secret in his past, but as a young American Indian...well...(Trivia: Mr. Sorrel is another one of those RMT actors you just can't find a picture of. 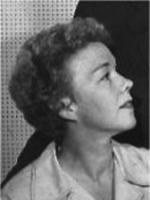 But he was married to a fellow RMT actor, Mary Jane Higby.) But this episode still "works" for me. It's got a rich blend of writing, sound effects and music, plus the one perfectly cast voice of the wonderful Leon Janny. - Also, note how Kramer's characters and Dee's characters outlooks change and go in opposite directions...first he's timid and she's bold, but she ends up the timid one while he challenges "Chin-dee" or whatever thing's name was. - I hate the name of this program...but it's still a fascinating story, and like the aforementioned "The hand" may or may not have a supernatural cause behind it. You're right: it's not easy to find a photo of Mr. Sorel online. I can find only one. 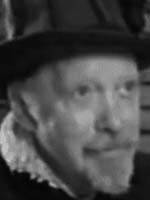 In a 1979 New York Times article (available from the NYT web archives, but unfortunately not for free, there is a fuzzy photo of a scene from WNET's 1976 historical drama series "The Adams Chronicles", third episode: "John Adams, Diplomat", with Guy Sorel in costume in his role as the Count de Vergennes. I tend to agree with this. Sometimes stories about curses can be pretty bland, because at the start of the story the hero is told he'll die if he does something, he does it and he dies. The End. But this one kept my attention all the way through. The actors did good job of bringing their characters to life, and the sound effects were convincing. 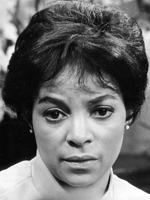 And Ruby Dee as a ranch heiress? - hey, that's the magic of radio! Just as rain is often used to good effect in films (Roger Ebert discusses this in his commentary on the "Citizen Kane" DVD), storms liven up radio dramas. Mix in rain and you have instant spooky atmosphere. Off the top of my head, I cannot think of an RMT that utilized storm sound effects with more impact than this episode. This show was strong from beginning to end, with a well done conclusion. I can think of one episode that had a great storm effect... The Man-Sized in Marble. The sound of the storm is great at the end. Not that it is the greatest, it just really adds to the excitement of the story. This episode did a fantastic job of keeping my attention. It just was not that great of a story. Kudos to the cast and director for at least capturing the listeners attention. 3 stars. Even though I liked this episode, I wondered about why someone would want to build a ranch in the location they mention if it had all the problems as stated (even when riding on horse rather than a car). It must have been difficult getting the building materials there as well as workers to build it, but I guess that's not part of the story. As far as the story goes it had a good supernatural element that is never spoken to (nor speaks), but which is central to the story and affects all the main characters. It was better than many, but again not one of the best. New Englanders Jeff and Katie Moore take over her father’s ranch somewhere in the Southwest. They are almost immediately faced with a crisis over a prize-winning palomino her father had owned. Their superstitious Indian ranch hands say the horse, which had been struck by lightning and its rider killed, must go. Otherwise the Indians maintain the spirits they believe in will cause trouble. The Moores soon wish they had listened to what the Indians were saying.